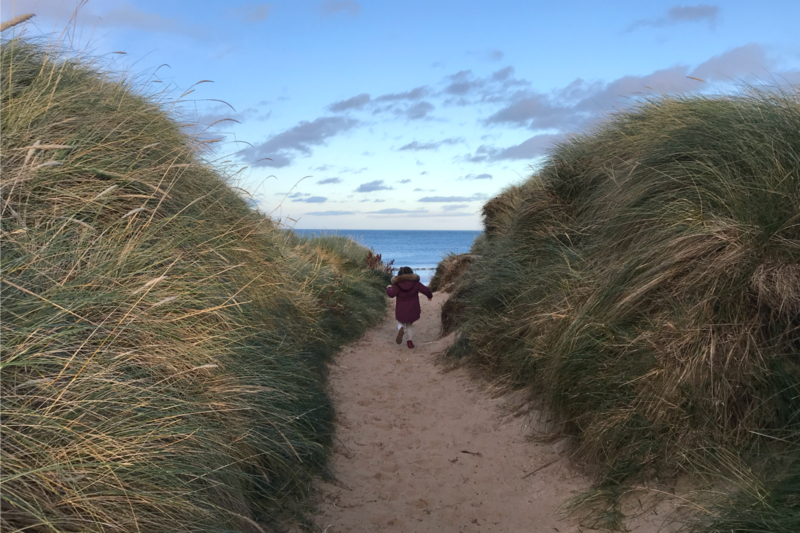 We went on a trip to Northumberland over half-term, but in line with my current super-slow blogging pace I’m only just getting round to writing about it. 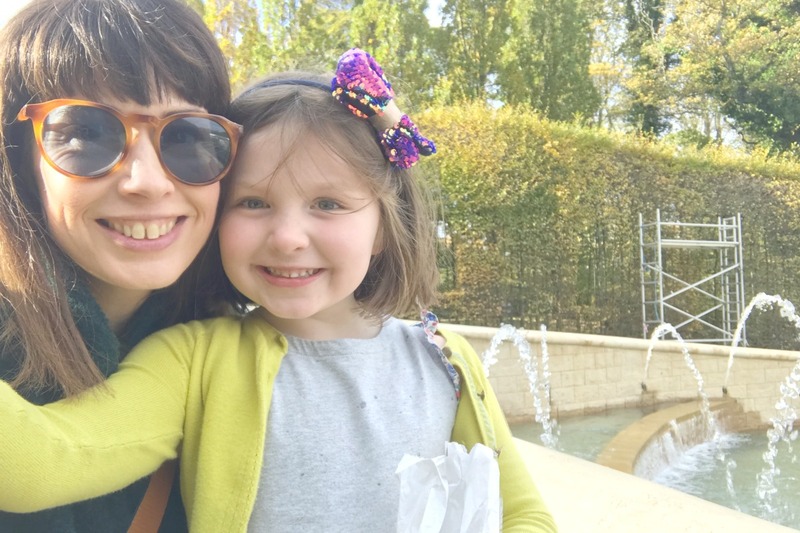 I seem to struggle to find time to blog so much now, there is so much else to fit in around work, single parenting, running a house, keeping fit, eating right, and of course something monumental happened in September, when my dad died – so I’m totally off kilter lately. 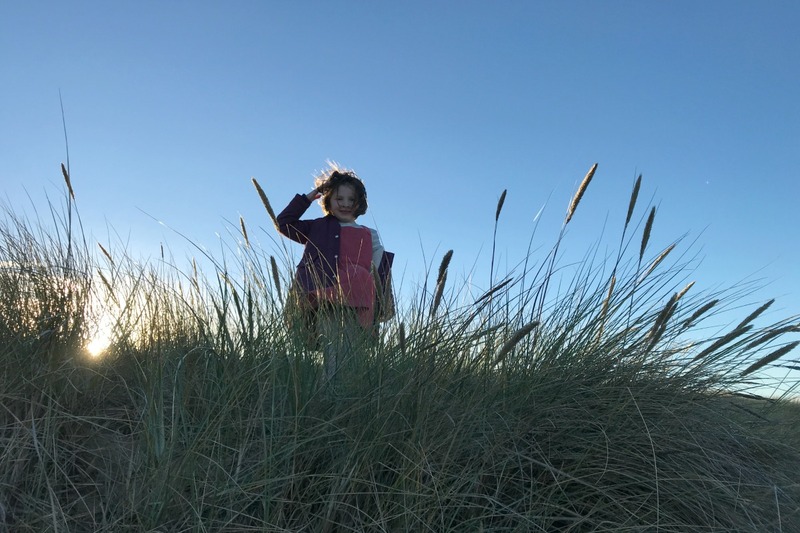 Our holiday was a perfect family break for the time of year; autumn by the sea is bracing as it is all year but without the pressure of summer to bring the sunshine. Still, we were lucky and the sun shone all week, we had no rain although we did get wet in other ways, as three out of the four of us ended up fully clothed in the sea at some stage. More on that story later! 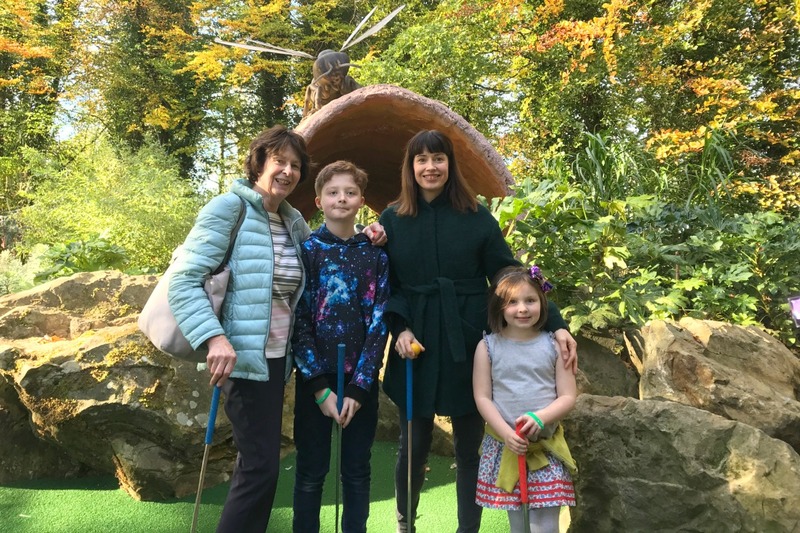 We went away with my mum which was a great arrangement for all of us, more help and adult conversation for me, and a change of scene and lots of family time for my mum. 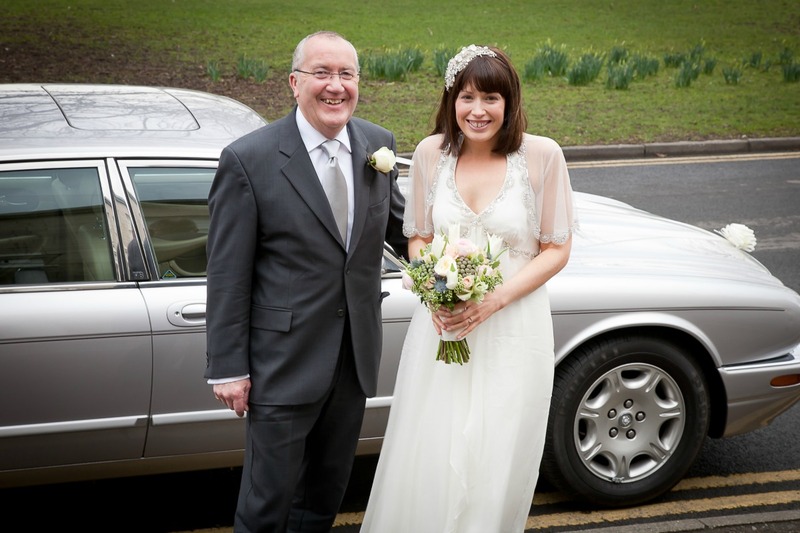 It was the first time she has been away since we lost dad in September and I know it was a bit of a milestone, I remember how it was for me when Rog died. 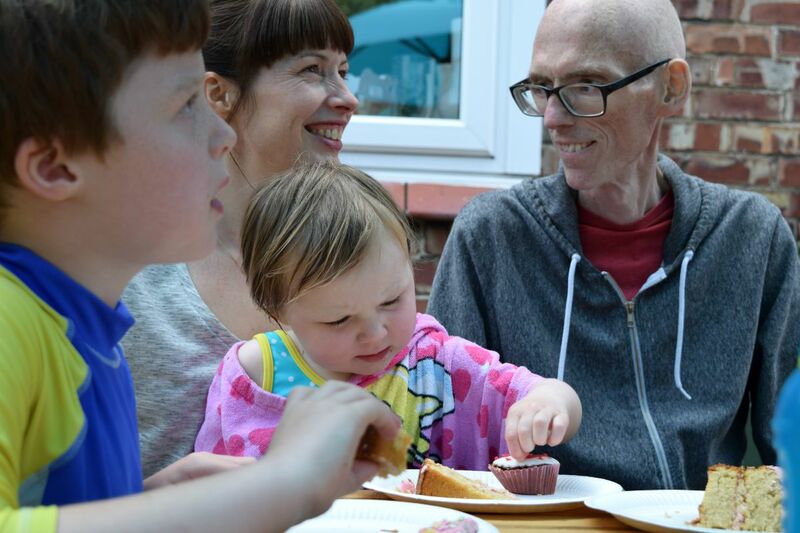 It’s another of those ‘firsts’ that have to happen after someone close to you dies. The first year is of course full of them; The first mealtime, the first weekend, the first outing. I’m glad we could be with mum for her first holiday, and hopefully we will be there with her on many more. 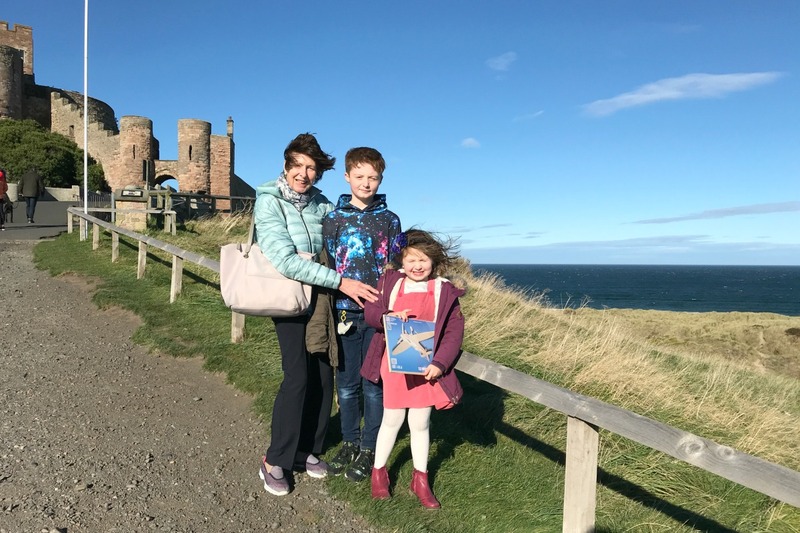 We stayed in a cottage booked through Airbnb in Embleton, which is about a 15-minute drive to the coast from Alnwick. The last time I’d been in Northumberland was pre-kids and Rog and I drove from the Wirral, in an epic 10-hour journey taking in a closure of the M1 and many joyful diversions. 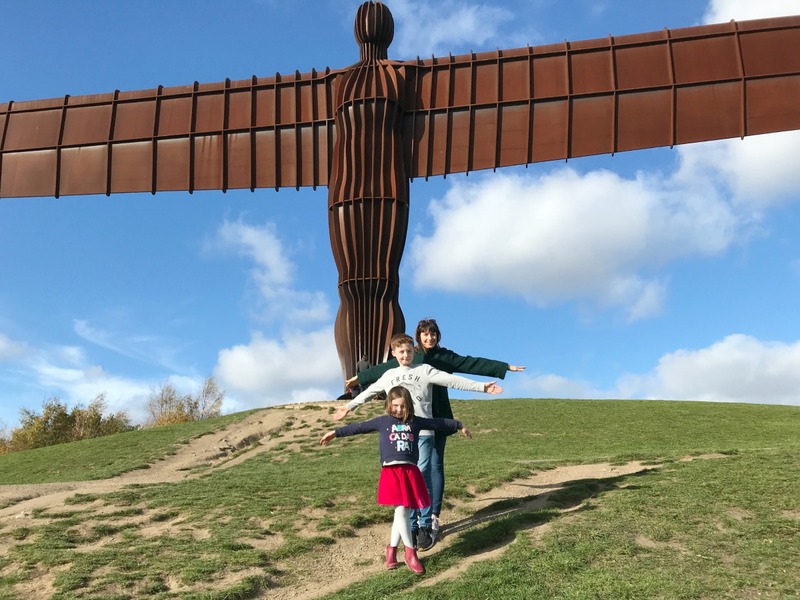 Luckily it was much smoother this time, it takes only about two hours from our house in Yorkshire and we stopped to take in the Angel of the North in Gateshead en route. I’m so glad we did, Sam and Flo were in awe of it and Sam even orchestrated the photo of the three of us arms outstretched in an angel pose. He was amazed by its size, before of course claiming back in the car it ‘wasn’t that big’. 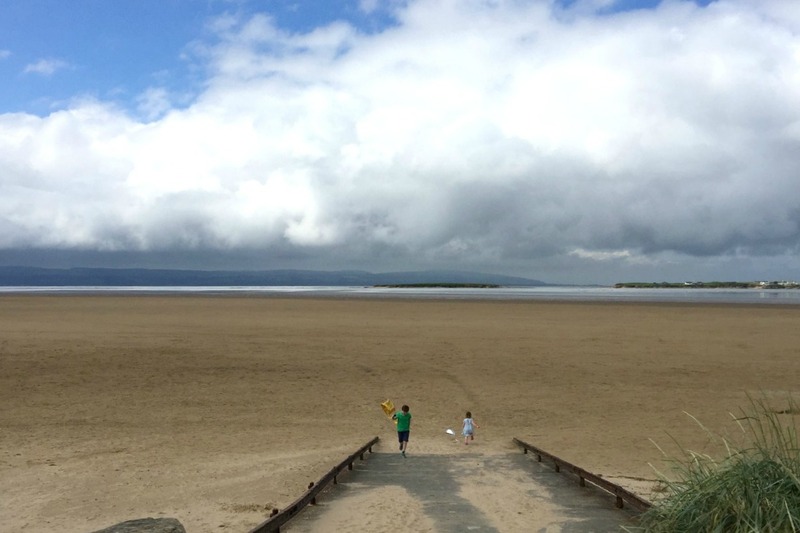 When we arrived at our cottage we unpacked the car and headed out to see the sea. 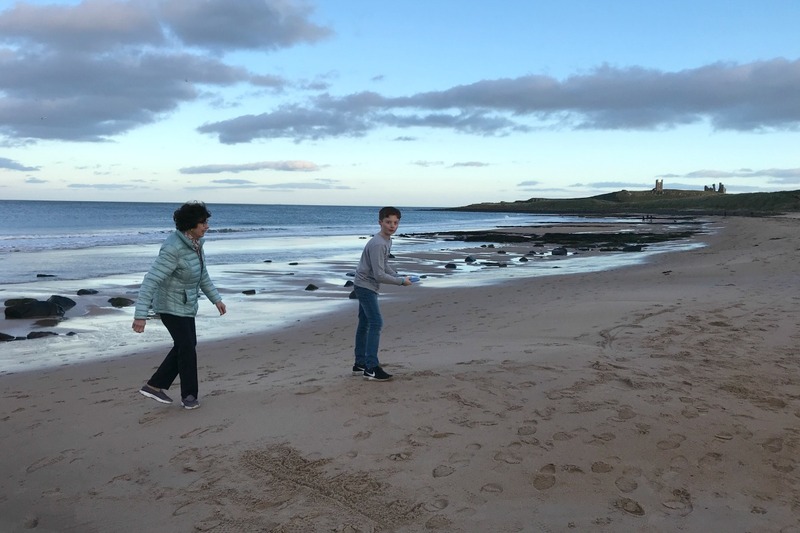 A short drive to the nearest beach (we could have walked but weren’t sure of our bearings) and we were on the sands with a beautiful view of Dunstanburgh Castle in the distance. We’d taken our frisbee and mum and Sam had a game, with Flo and I joining in with varying results. Just before we were about to leave, Sam threw the frisbee into the sea and ran after it (in his trainers) completely soaking them. That’s why you may notice him wearing some particularly nice floral Nike Internationalists in the photos (mine) as luckily he’s only half a shoe size smaller than me (we both have big feet!). Mum and I also soaked our feet in a frisbee incident two days later, on the same beach. It’s a hazardous sport, is it not? 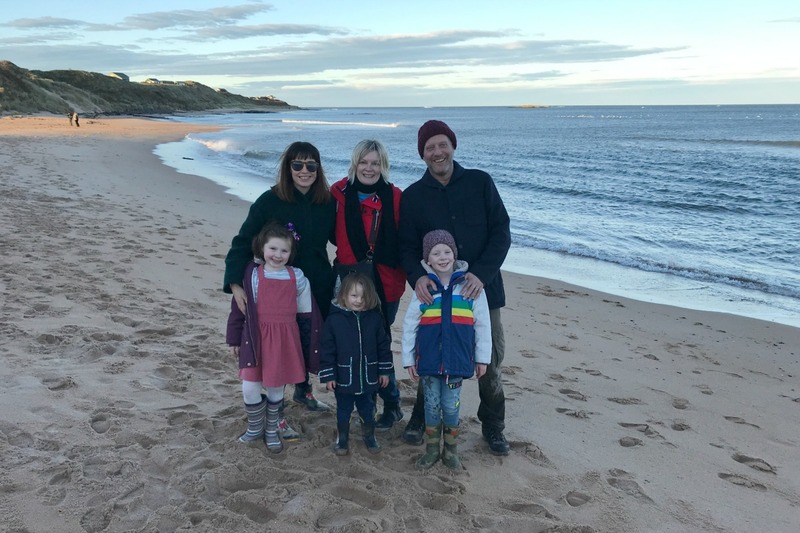 We were in Northumberland at the same time as our friends Clare and Martin and their little ones, and managed to meet up a few times over our stay. This was great for us to have some company and be sociable, and to see the kids make friends and have others to play with. Flo and Arthur and now great mates! 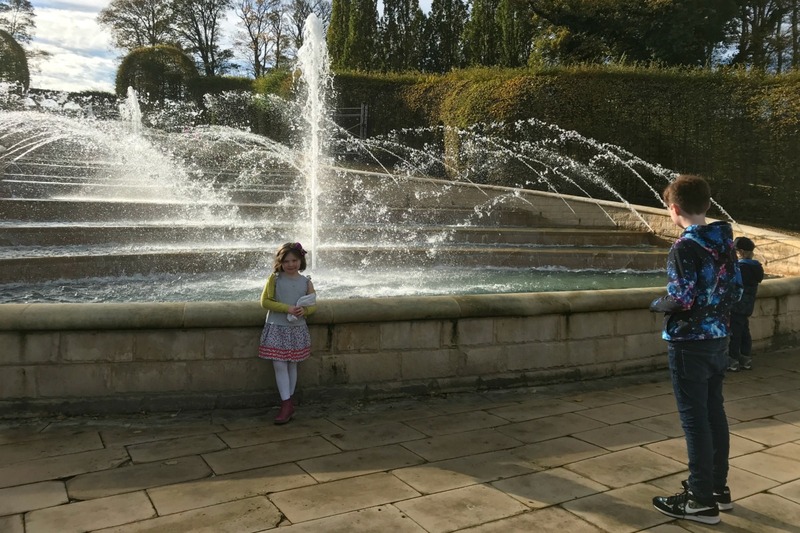 A complex of lovingly curated gardens to walk round and explore, the centrepiece of which being a huge fountain which is switched on for a display every 15 minutes or so. 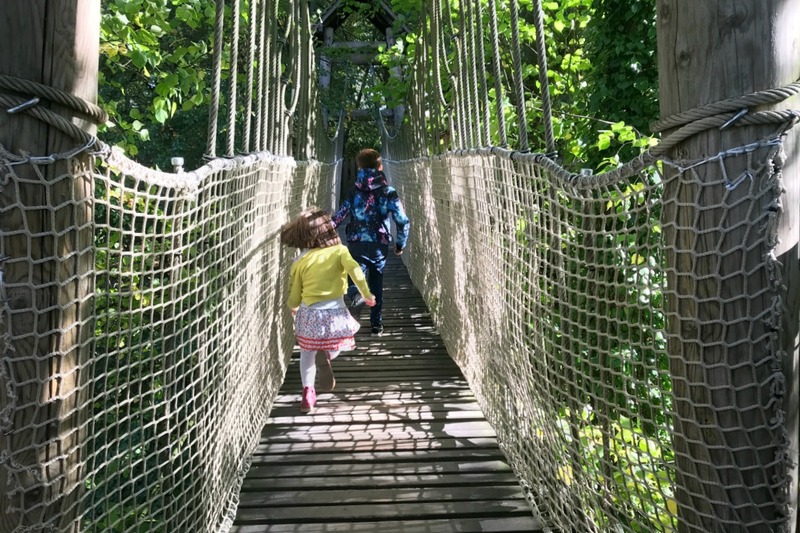 There are also a few really good cafes for those important coffee and cake stops, trails for the kids, a crazy golf course, swings hidden amongst the trees and the super-cool Treehouse cafe. 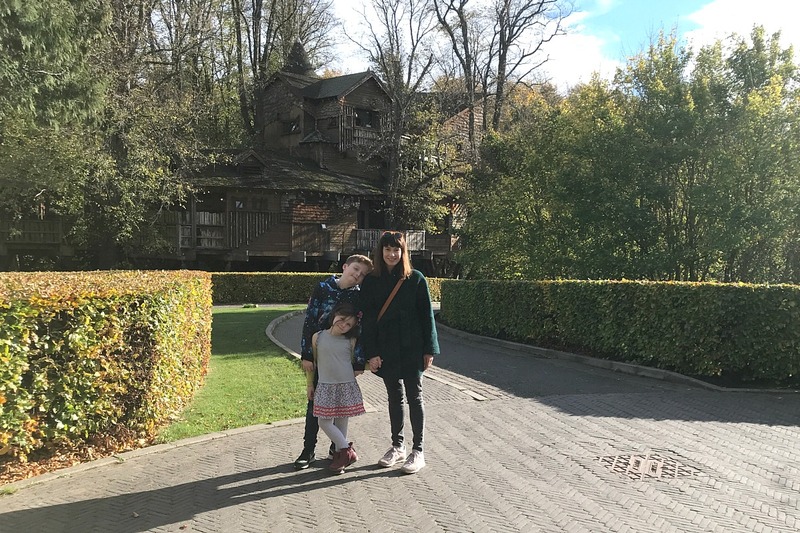 The Treehouse is a huge wooden house which looks like it’s straight out of a fairytale, surrounded by a few shaky wooden bridges (think the one in I’m A Celebrity, only much smaller!) and covered in twinkling lights. 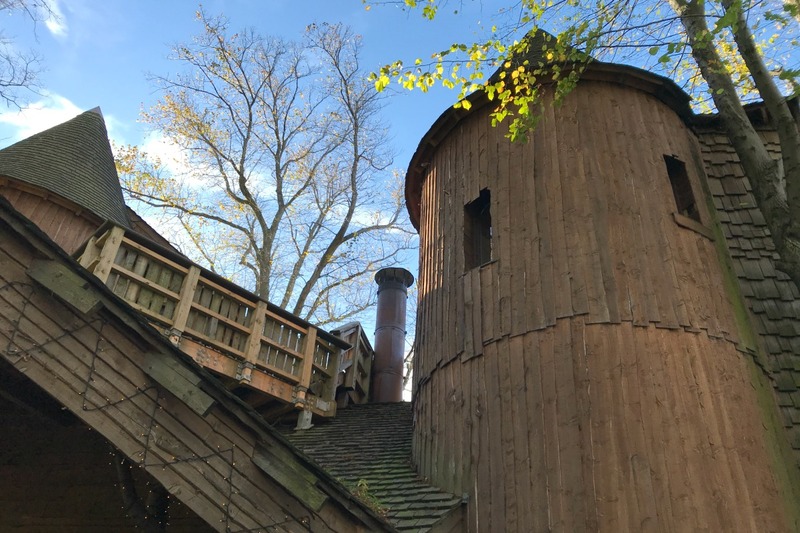 The main cafe now only serves set menus so was a bit too formal for us for lunch, but there is a more relaxed cafe outside called The Potting Shed, where you can still be in the Treehouse area but you don’t have to book or order two courses! 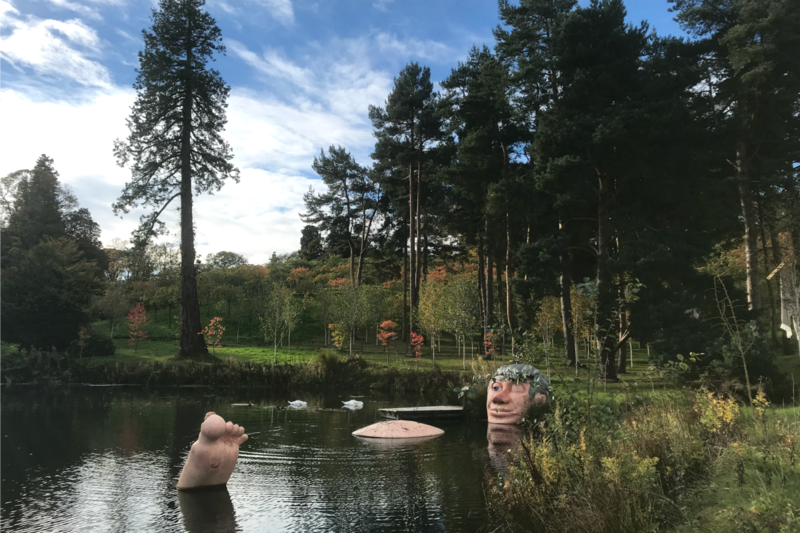 The Alnwick Garden currently has a model giant relaxing in the lake as you go in, and a few more giant things were planned to go up around Christmas time. There is a poison garden where you can take a 20-minute guided tour learning about plants like belladonna, marijuana and tobacco. 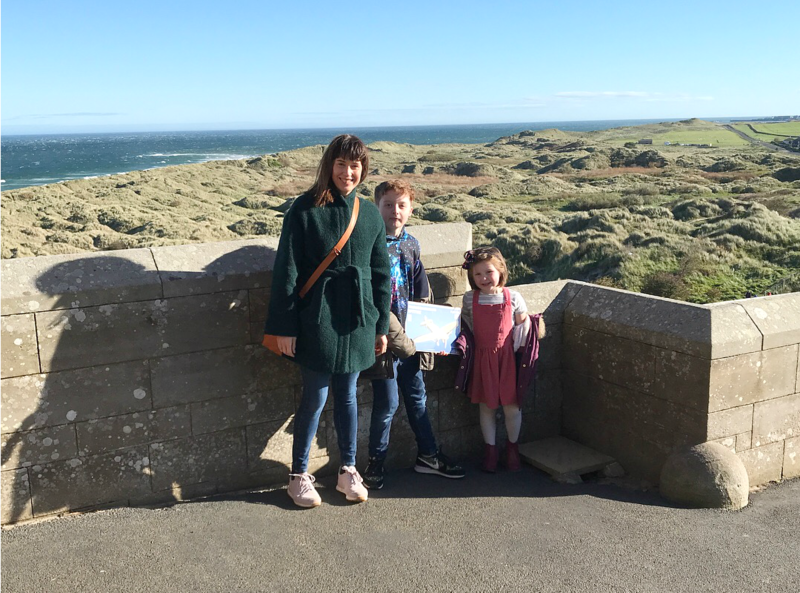 I love Bamburgh – the castle is perched on a hill overlooking the beach, and although it was so windy on the day we visited we still took in the amazing views. We also rescued a few ladies who were on a coach trip and feared for being blown over in the wind – hi Ida if by any tiny chance you’re reading! 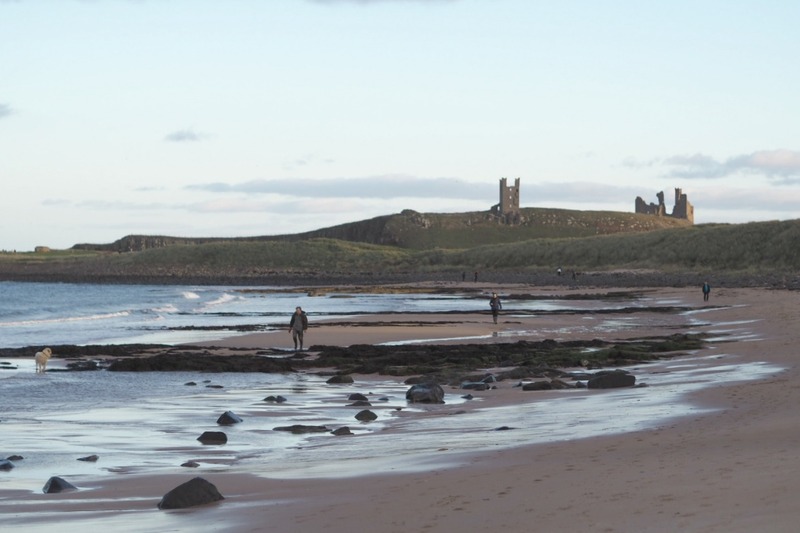 We ate at the pub near our cottage for two nights, The Dunstanburgh Castle Hotel, and another evening went to one recommended to me called The Ship at Low Newton. 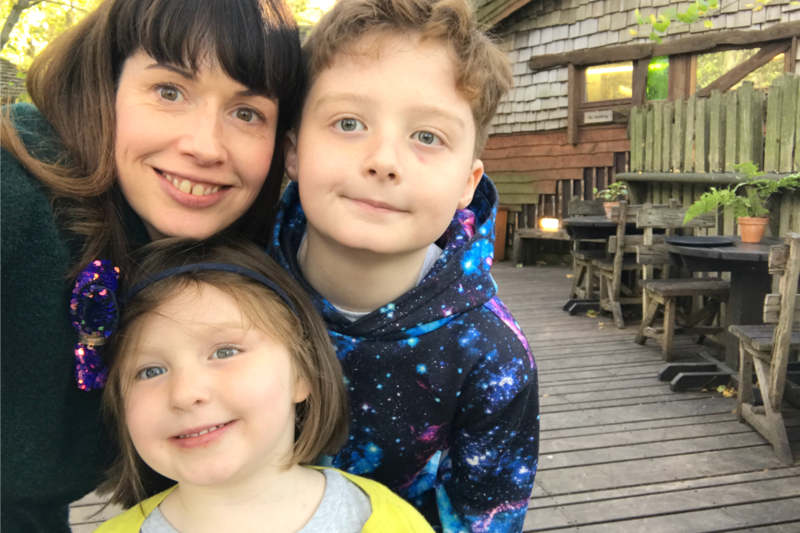 We had to book a table at this one but it was well worth it; such a cute pub with amazing views of the sea and – on the night we visited – a breathtaking sunset. Beach walks are great at any time of year aren’t they? I do miss living by the sea. 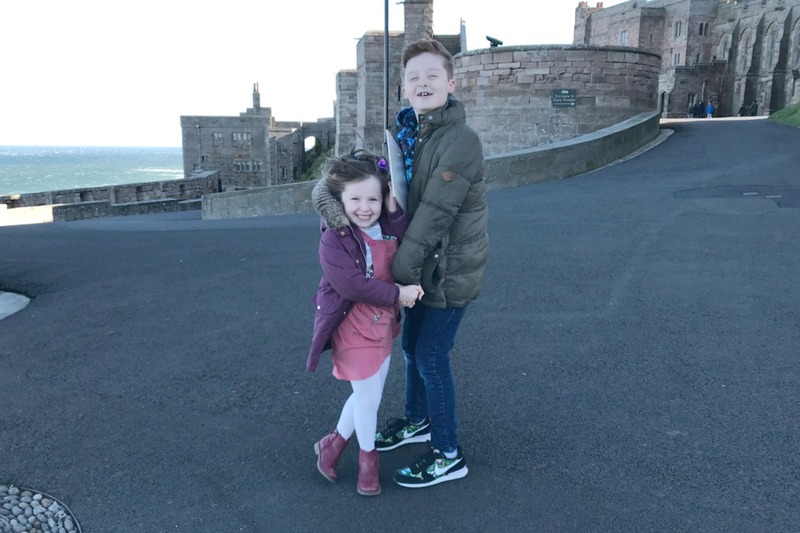 Aside from Bamburgh, we spent a few hours down at the beach in Embleton and it certainly blew away the cobwebs (and has great views of Dunstanburgh Castle, too). 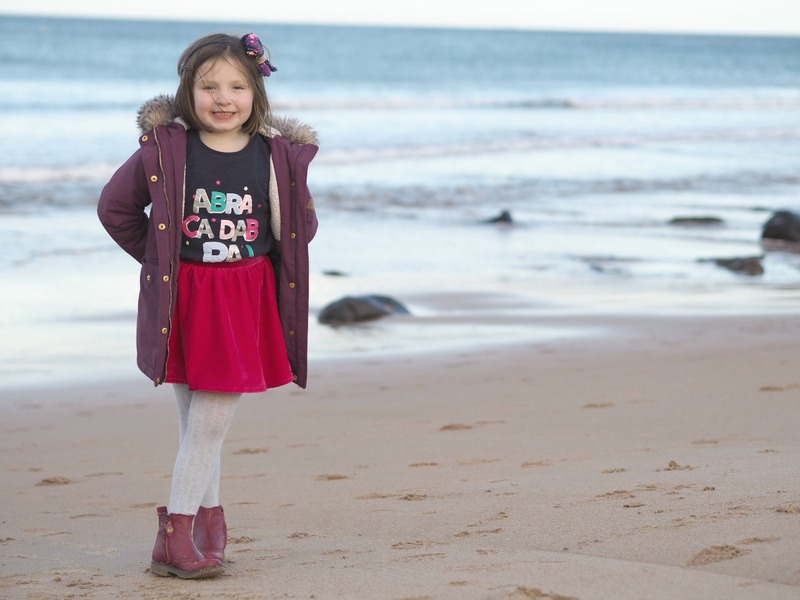 Just remember to pack your wellies and don’t fall in the sea like we did! Much bigger than Bamburg and really spectacular, Alnwick Castle is where Harry Potter and the Philosopher’s Stone was filmed, so be prepared for broomstick flying events and Hufflepuff merch. We also saw a falconry display and walked round the inside, which is so well preserved and part of it is still lived in by the Percy family. Impressive, to say the least! Please let me know if you know the area and have any favourite places to visit, I know it won’t be too long until we’re back. Julia. how heartwarming it is to see your lovely family thriving and enjoying life to the full. what an inspiration you are and lovely to see Mum enjoying herself again. 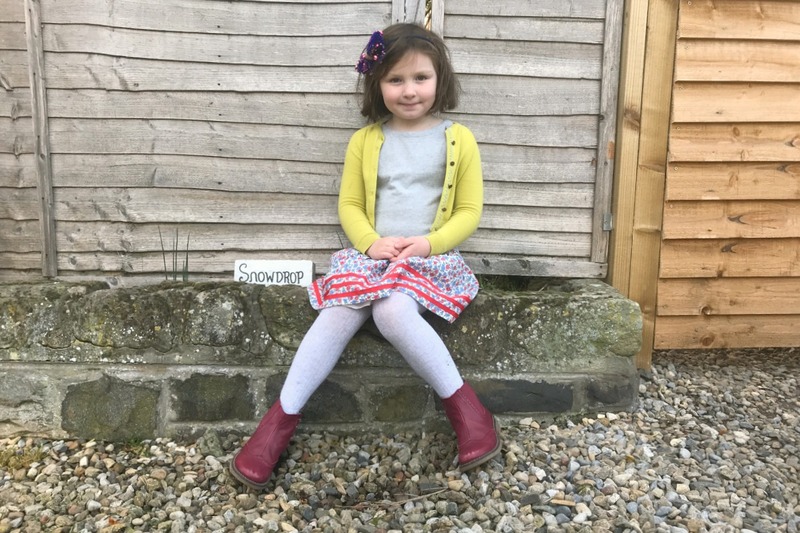 we were away all of September when dad passed and we are sorry we havnt managed to come and see you as our David changed jobs and we have been doing a lot of babysitting in Sheffield. David was 40 at weekend and Clarice is 70 tomorrow. we had a lovely joint party at the Pen Factory on Saturday.